Ever wondered about those headrest covers of your seats and chairs? You think that they can carry your firm's name and contribute in adding that little star to your brand. Well, if you ponder over it, they actually can. Imagine a conference room with a number of chairs with your name printed on the headrest. Well, the image certainly adds to your firm's brand value. You can have your company's name, logo or symbol printed on these headrests and let them say the rest. Yes, headrest printing is one the latest trends that people are going for. Imagine even headrests can be personalized and printed as per your requirements. Well, one may wonder over where to get these customized and superior headrest cover printing done from? Well, Ruby Print N Pack offers the best In-flight headrest cover printing services in India. We have made an eminent name in the business and have provided the best of printing services in the industry. 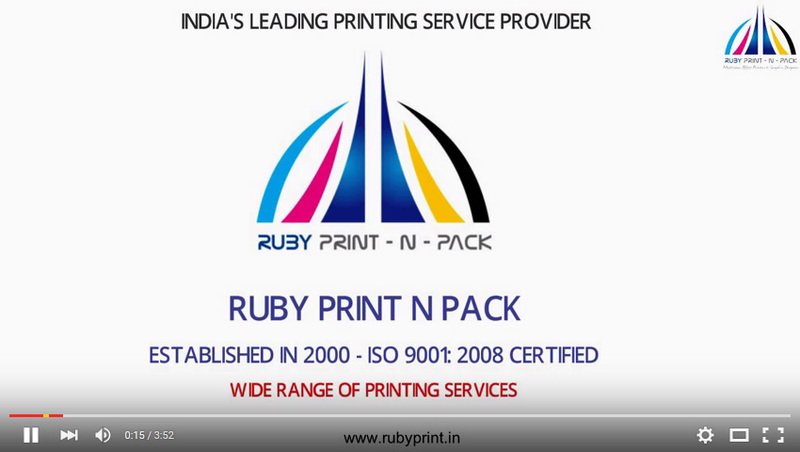 Team Ruby found its existence in the year 2000 and has been delivering quality printing services since then. Not just the ordinary printing, but we offer customized and personalized headrest printing solutions to our clients in India. Right from the color to the material, all the minute details are discussed upon and brought to reality. With an organized and inspiring work culture, we ensure that the quality and class is maintained throughout. Variety offered in terms of color schemes and design. Easy to mount on almost all kinds of seat backs. Personal hygiene and cleanliness are taken care of. Can be used in flights, ships, ferries, buses, theatres, conference halls etc. Fabric is breathable and durable. A minimum of 1000 headrest orders are placed providing no compromise on quality. A powerful advertising and marketing tool. The wear and tear solutions are taken care of. Have Taslim strip for Velcro attachments for convenience. Quality and quantity balance maintained throughout. Ensure delivery in 10-19 working days at your doorstep irrespective of your location in the country. Not just the brand value but it also adds up the impression. Having your company's logo printed on your seat backs not only enhance the quality but also takes care of the cleanliness factors. Yes, no more of oily and dusty seat backs around. The custom printed seat headrest covers are going to take care of all for you. Our printed headrest covers are widely used in flights, bus, cars, theatres & many such vehicles. So, fetch your own personalized headrest covers printed through the Ruby Print N Pack; and experience the best headrest printing services. We stand among the most trustworthy and reliable options in the market. The quality of these headrest covers would add to your company brand. Let your head rest with the best printed covers available around. Download Link (Optional)*WeTransfer, Dropbox, SendSpace etc.